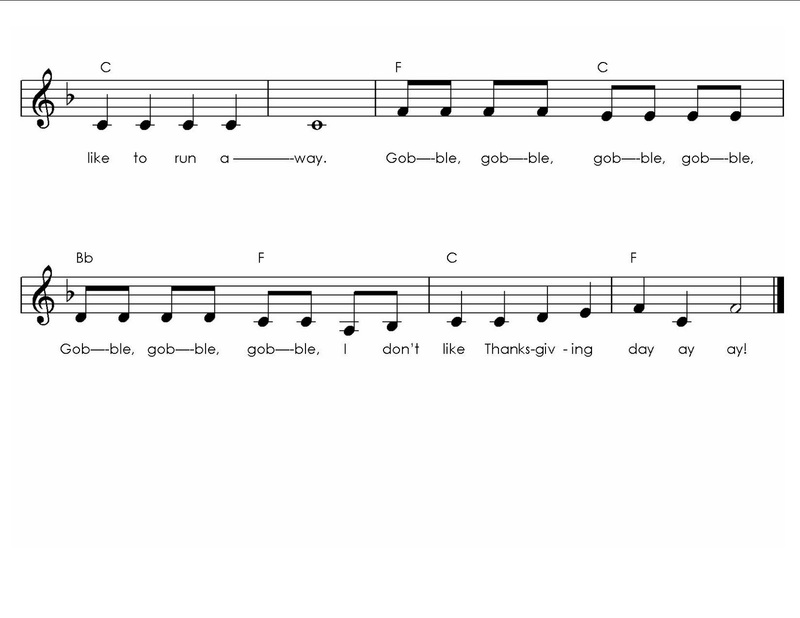 In choosing an instrument for the Rhythm Bag, I thought how seasonally appropriate the Turkey Gobbler would be! It's really a pretty silly instrument, but is one of the most popular in my Rhythm Bag. Why? Well, when you hold and firmly shake the Turkey Gobbler, it makes a sound quite similar to a turkey and my kids loved it! I frequently hide it when I want my client to find an instrument to use when interacting through music, but find it motivating and useful as a reward for another task well done. I also find it useful for children with auditory sensitivities. The sound is a bit obnoxious, yet many of my children will still want to shake it and to explore the sound as it is really quite different! I purchased a set from West Music a few years ago and unfortunately I don't find it in their catalog anymore. 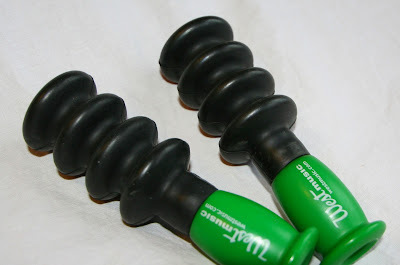 They do however have the Basic Beat Canary Stick and the Basic Beat Quack stick which should yield similar results! 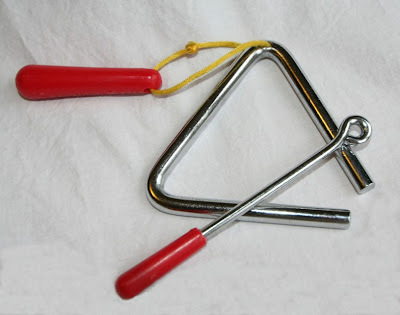 The triangle is a popular percussion instrument that can be a good addition to your Rhythm Bag. 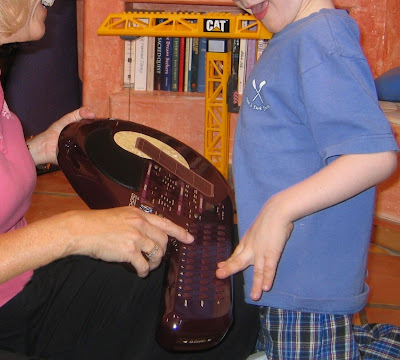 The triangle provides the opportunity to work on several objectives such as developing fine motor skills, increasing motor coordination and decreasing auditory sensitivities. To play the triangle, one holds a bar or loop that is attached to the top of the triangle with one hand and strikes the triangle with the beater held in the other hand. The triangle can also be suspended from a music stand. The sound of a triangle can be described as sharp or tinny and can cause overstimulation in children with auditory sensitivities. 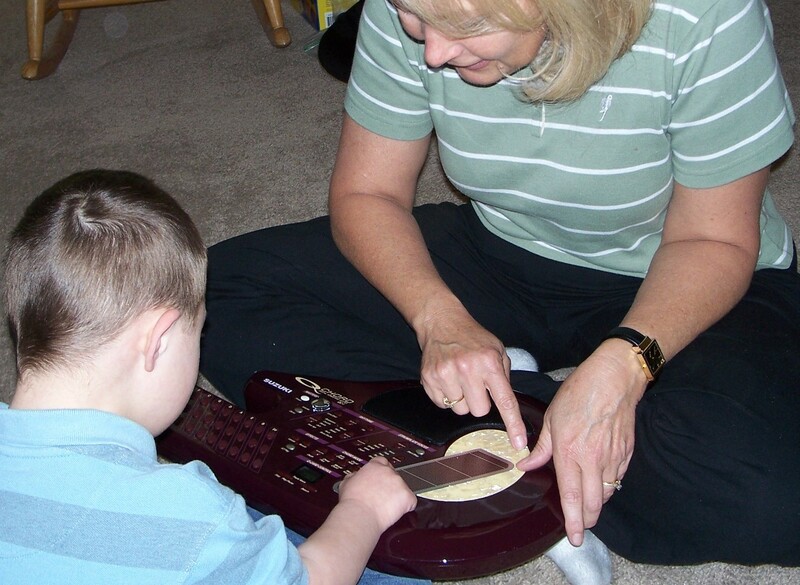 Don't ever force a child to play the triangle if it causes obvious distress, instead, show them how to make a soft sound and see if they would like to hold and explore it. 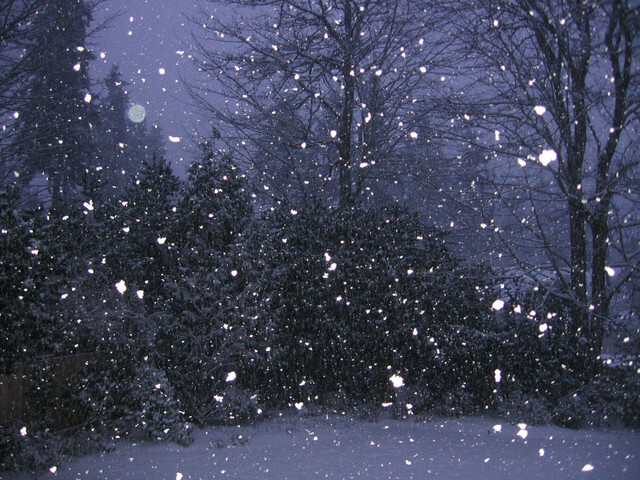 Be sure to check out Chynna's blog while you're there. She provides wonderful tips, expert interviews, book and product reviews and insight for parents and families touched by someone with special needs. 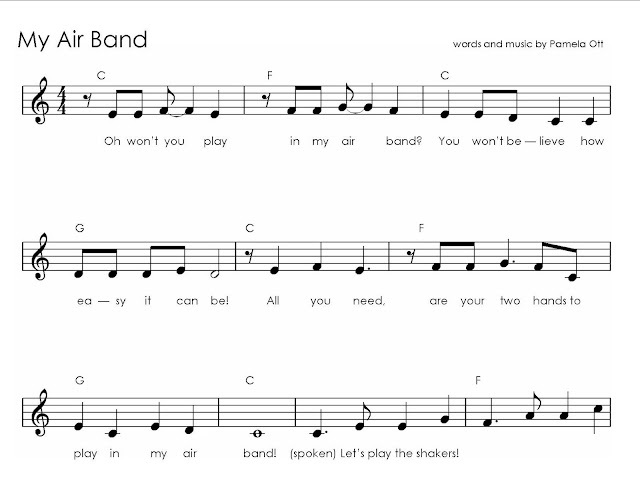 "My Air Band" is a song I wrote many years ago but still use quite frequently. I use this song to try and increase interaction, to increase the recall of instruments I've introduced and how they are played, to stimulate the imagination and just to have fun together through music! This song would work well with the instruments I've been highlighting in "My Rhythm Bag" as well as better known instruments such as the piano, guitar, drum and trumpet. Once the child is comfortable with the song and the concept of playing an "air instrument" ask them to suggest an instrument to play! Music Therapist Rachel Rambach has just released her first studio album of original songs entitled "Time to Sing Hello". The project was funded through fans, friends and family. The album download is free - but if you wish to make a donation, it will go towards recording her next studio album. My favorite song is "Move Your Body Along". Here is the link to listen or download her album! 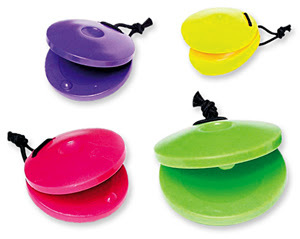 Castanets are percussion instruments that are commonly made of hardwood, but for children the plastic ones work just fine. 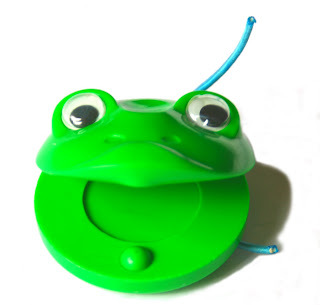 My favorite finger castanet for children actually looks like a frog. Most of my children love this castanet, although there are a few that are overly distracted by the face and eyeballs that move! 1. 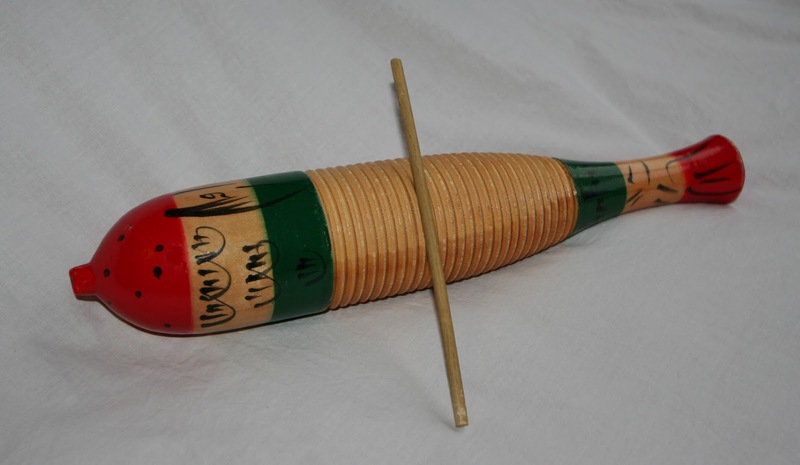 Allow the child to pick a favorite castanet. 2. Hold your castanet between your thumb and pointer finger and click the castanet together. Ask the child to copy you. 2. Repeat with the thumb and middle finger, thumb and ring finger and thumb and pinky. 3. Hold your castanet in the palm of your hand and use all fingers to click the castanet. Try using separate fingers too. 4. Hold your castanet in the palm of your hand and use all the fingers of the opposite hand to click the castanet. Try using separate fingers too. 5. Take turns! 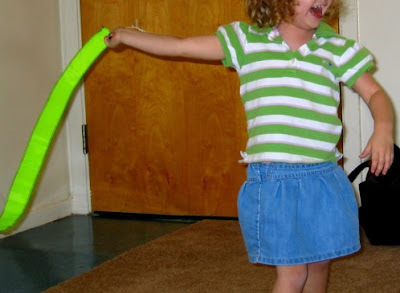 Ask the child to pick a way to play the castanet and copy them! 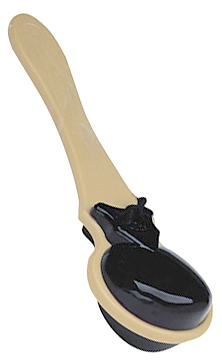 For children that have difficulty holding and playing a finger castanet, try a castanet with a handle! 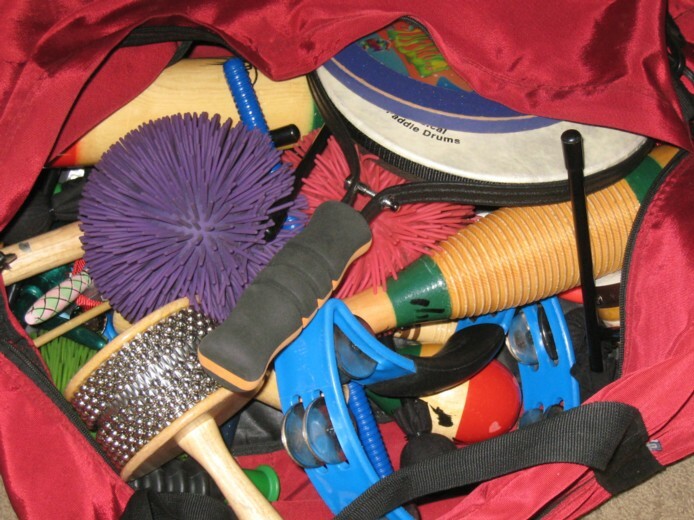 As you collect instruments for your Rhythm Bag, take a picture of each one. 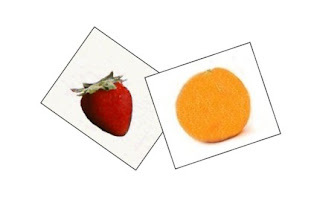 Arrange them on a table or the floor in front of your child. Sit behind your child and briefly play or shake one of the rhythm instruments pictured without letting them see the instrument. 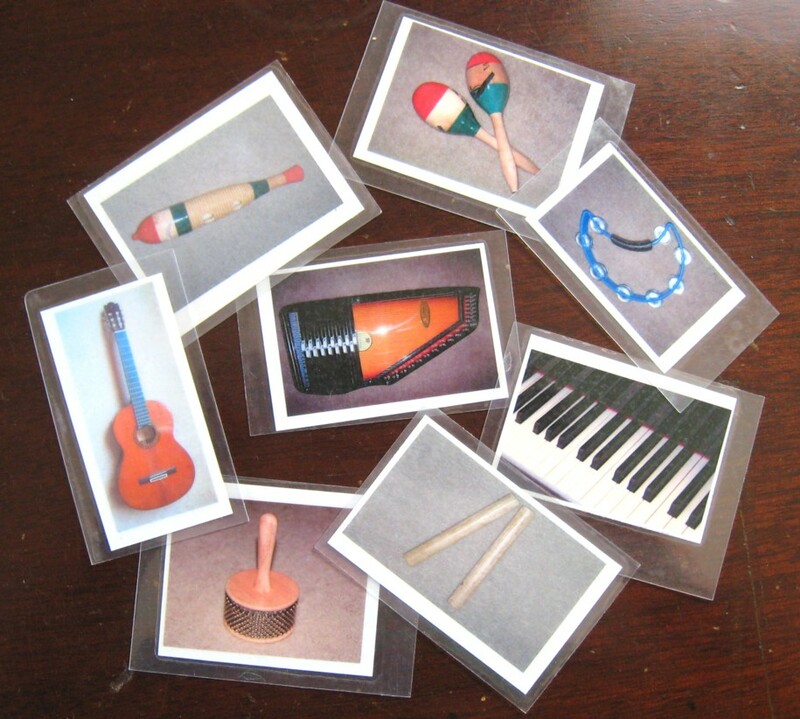 Encourage your child to identify the instrument just played by pointing to or picking up the correct picture card. 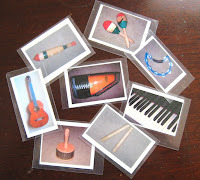 As you add more instruments to your Rhythm Bag, add more picture cards to the game! 2. 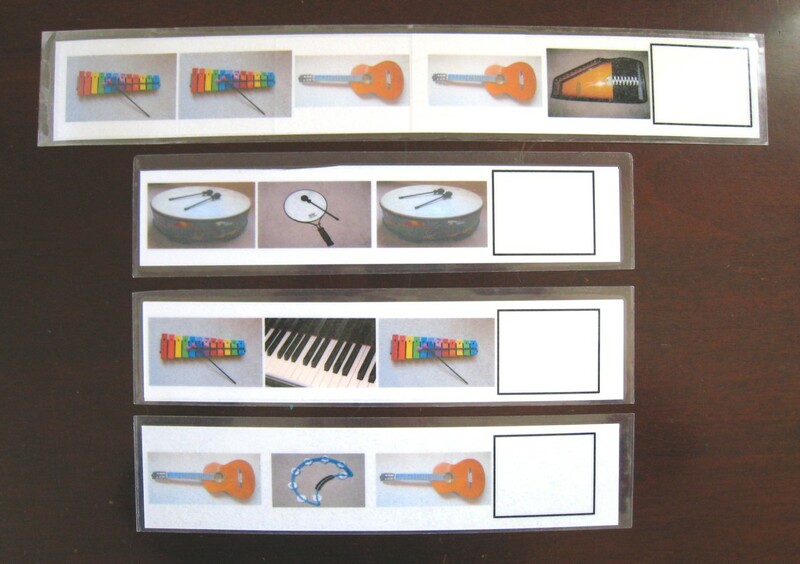 Show the child the instrument as you play it and have them match it with the picture card. 1. 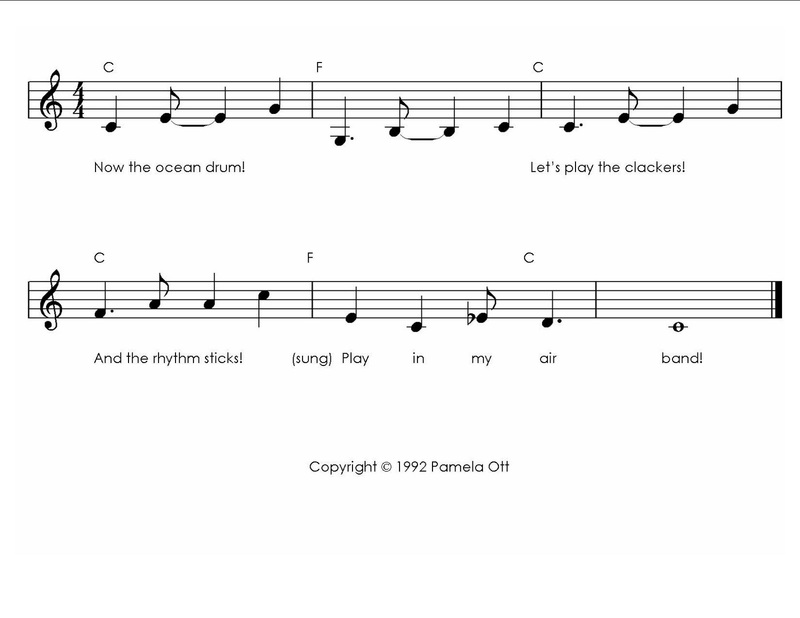 Encourage children to play the sticks to the beat of a song. Try a fast paced song - then a slower one. 2. Ask the child if they can play LOUD - then soft. 3. Ask the child to play high - then low. 4. 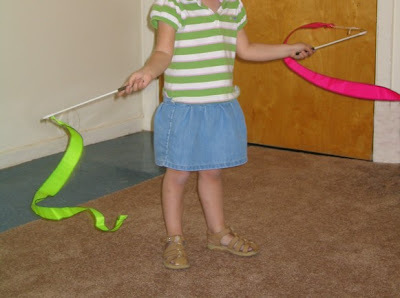 To encourage interaction, hold your sticks in front of the child and ask them to play their sticks on yours. Move your sticks higher or lower and encourage them to follow. 5. Play your sticks fast - then ask the child to play the opposite! Repeat for loud - soft and high - low. 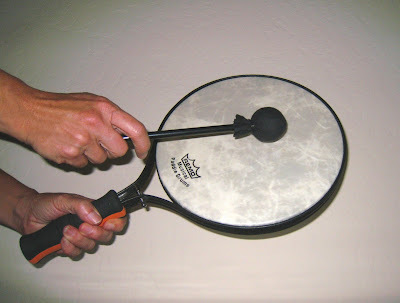 The second instrument I would recommend for a rhythm bag is an ocean drum. 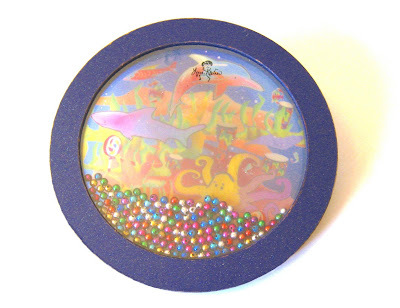 There are several different styles of ocean drums, but I like this Remo model because the the children I work with like the size and multitude of colors. If you gently rock the instrument from side to side, the beads provide a mesmerizing and pleasing sound somewhat like ocean waves. It also can be tapped with a finger or hand or tapped on a knee. 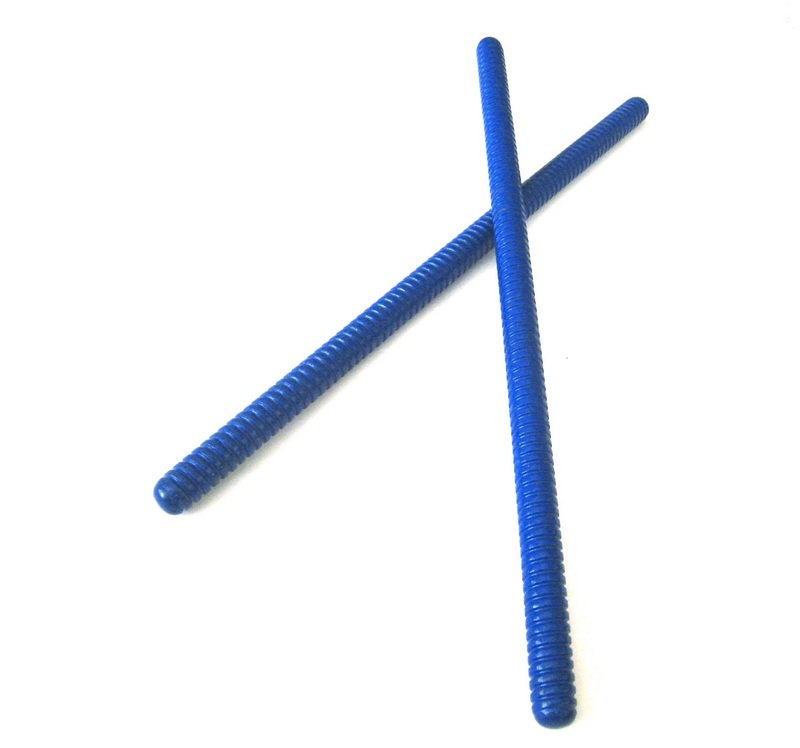 This instrument provides a pleasant auditory and tactile experience. Some of the children I work with are overly mesmerized by the colors, motion and sounds and have difficulty attending to activities encouraging the use of the ocean drum, so with them I tend to use the ocean drum as a reinforcement or reward for completion of a separate task. Whenever I work with children, whether in home or in my office, I bring along my "rhythm" bag. This is actually my "rhythm instrument" bag, but over the years it's been shortened to "rhythm bag". Apparently it's just a little easier for my clients (and me!) to say. Plus - the name fits! 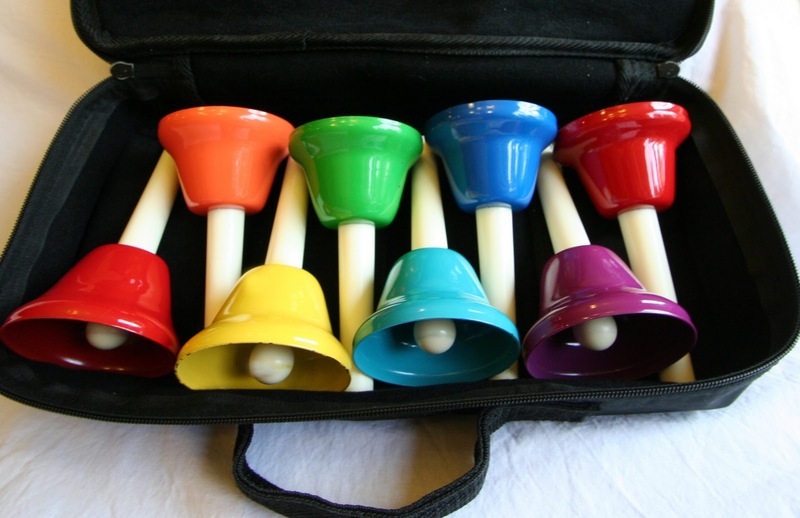 As I walk down the hall holding my "rhythm bag" it jingles and jangles, dings and tweets from such a combobulation of instruments knocking up against each other. The zipper doesn't work anymore and the bag hangs open when I set it on the floor, revealing some very used and loved instruments and enticing my little ones to work hard so they can pick something to play out of Ms. Pamela's "rhythm bag". I've been asked by parents, teachers and therapists what instruments they should get to put together their own "rhythm bag". 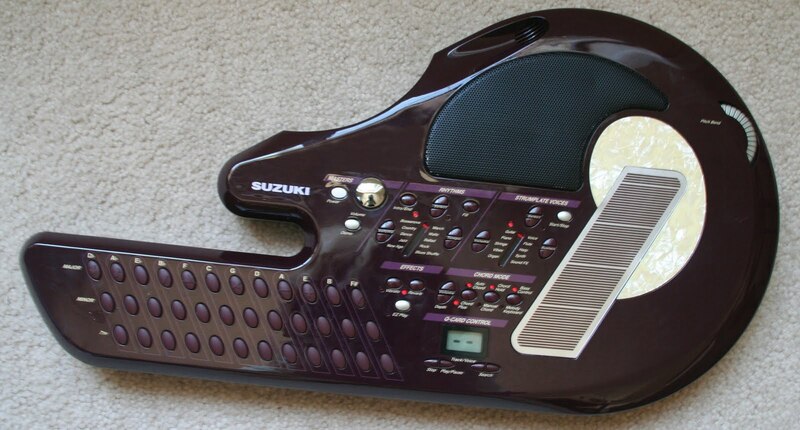 I thought it would be fun to add a new instrument recommendation for your bag with the next few posts. The first instrument in my bag is a set of 4 colorful EGG SHAKERS. Egg Shakers can be constructed of wood or plastic. I selected the Basic Beat Egg Shakers because I loved the colors, they are easy and comfortable to hold and they sound really nice! 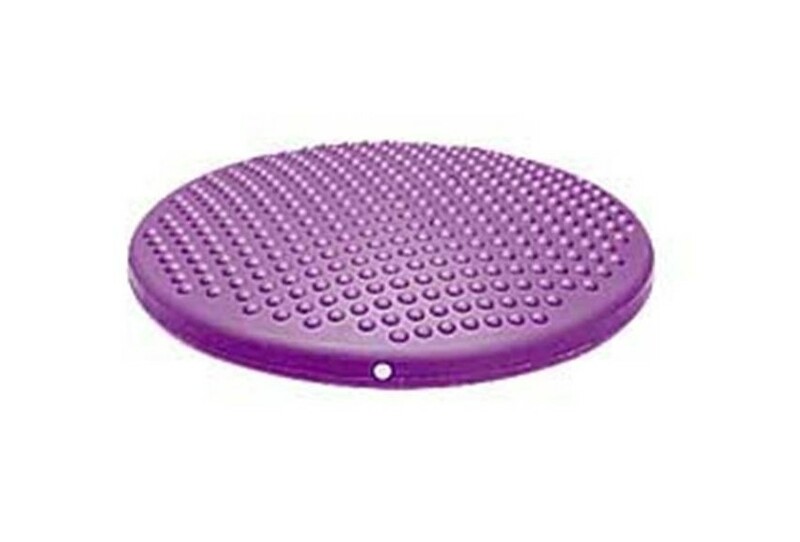 The sound is easily tolerated by most of my children with sound sensitivities and they provide a nice tactile sensation, yet are light and easy to hold. Egg Shakers can be held in the palm of your hand or between fingertips and thumbs. 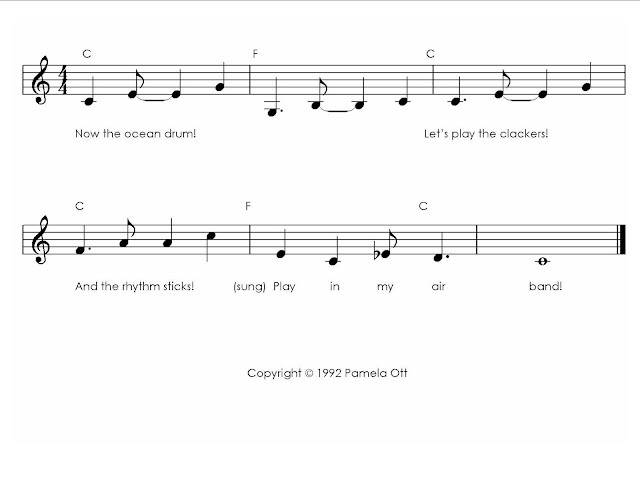 I have 4 in my rhythm bag so I can give the child I am working with 2 of them and I can play two. 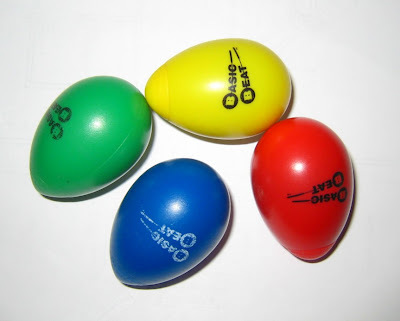 Egg Shakers are relatively inexpensive and small. They work well in group activities, so if you work with a group you could easily keep 8 or more in your bag! **As with anything that can be put in a child's mouth, monitor children carefully around Egg Shakers and other instruments. I thought I'd occasionally input one of the "nonsense" or "silly" songs that I use with clients to stimulate communication skills. These songs have very catchy melodies and simple lyrics - or just syllables! 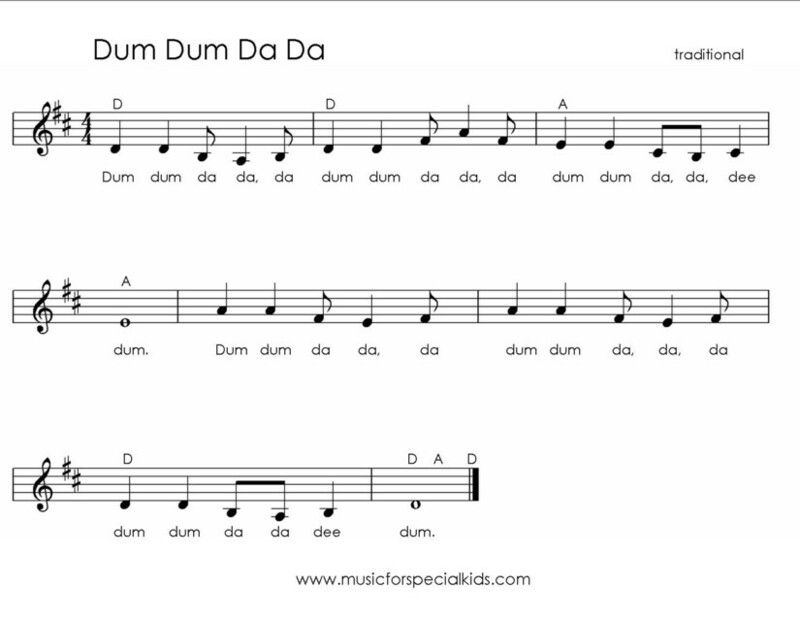 I've found that many of these songs encourage vocal participation from several of my kiddos that have been reluctant to vocalize - maybe due to the simplicity of the lyrics, sounds or syllables. 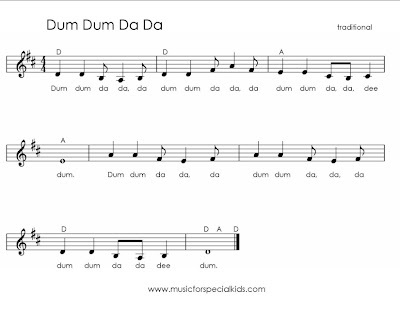 The following traditional song called "Dum Dum Da Da" is one that many of you old Girl or Boy Scouts may remember! Ask the child or children you are working with to suggest more animal sounds! 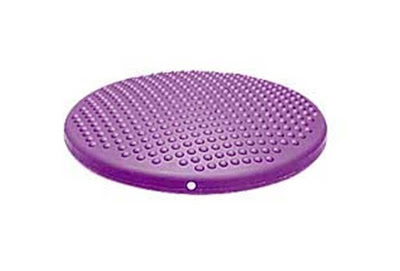 There are many Circle Time Songs that I have used over the years to promote interaction within a group of children or even to promote interaction between a student and teacher (or child/mother or client/therapist!). 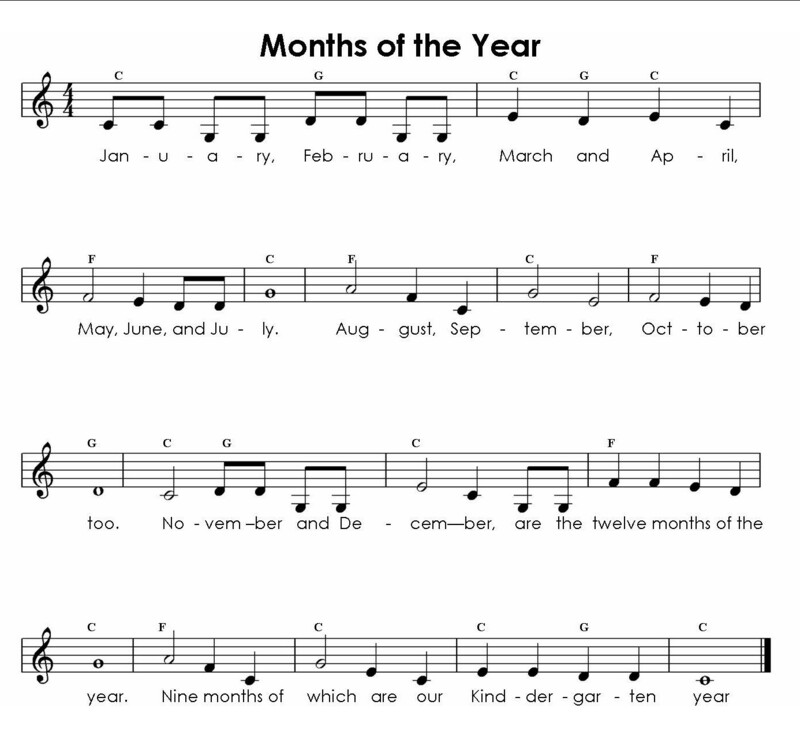 I just ran across a website that lists several Circle Time Songs that might be something you can use with your child or class. Some have familiar tunes. 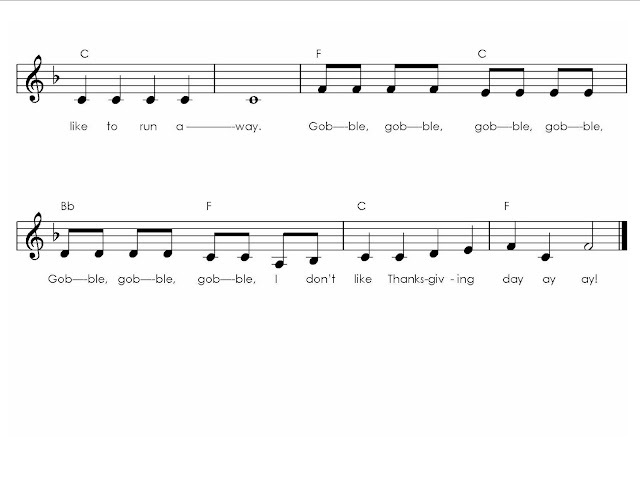 If a tune isn't listed, try speaking the words in rhythm. Are you tired of the same old songs? Or do you want to work on a particular objective and can't find the right song to do it? Over the years, I have had a LOT of fun adding new words and verses to traditional or well known songs. 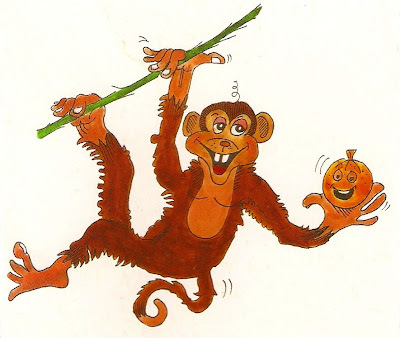 One of my favorite children's fingerplay/rhyme songs is 5 Little Monkeys. 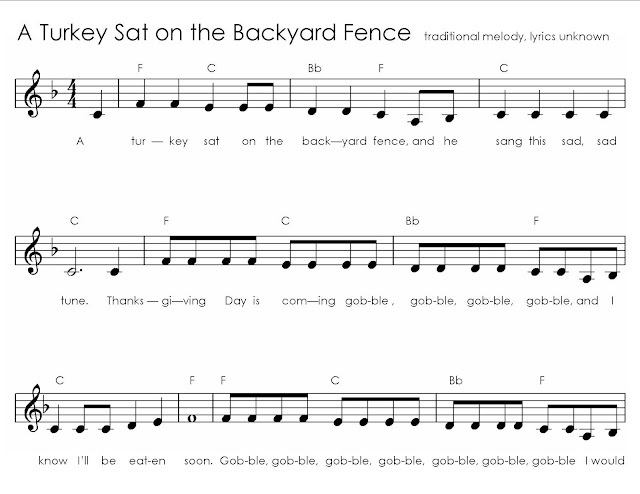 Many of the kids I work with like this song, but frequently lose interest after the 2nd or 3rd monkey! 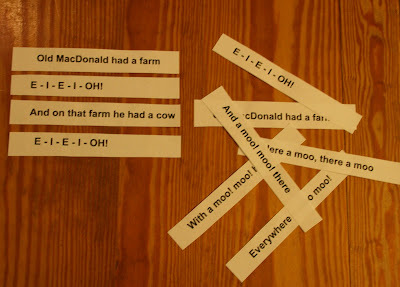 Plus, I really wanted a song that I could do some sequencing activities with. 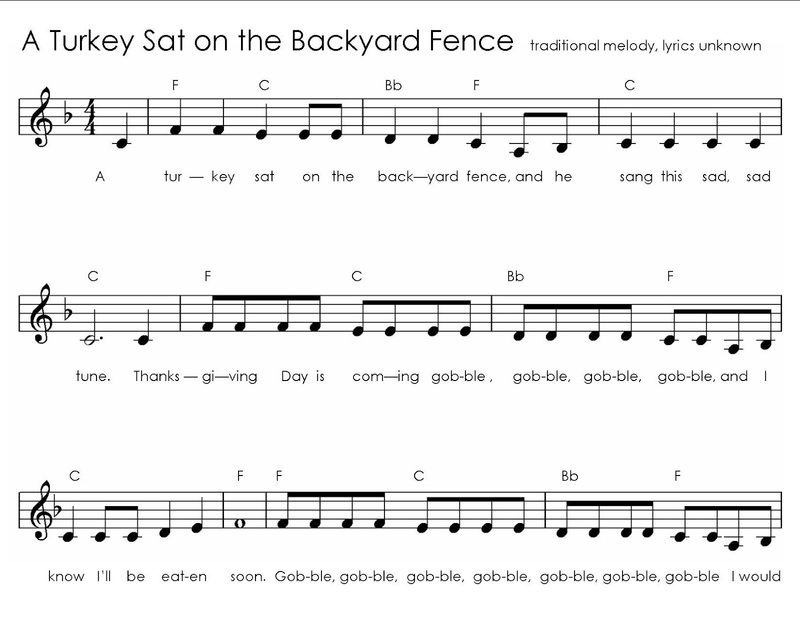 So - I changed it around - added a familiar melody and verses to make it "3 Little Monkeys". Now there are hand motions to go with each of the verses and the old standard is new again! 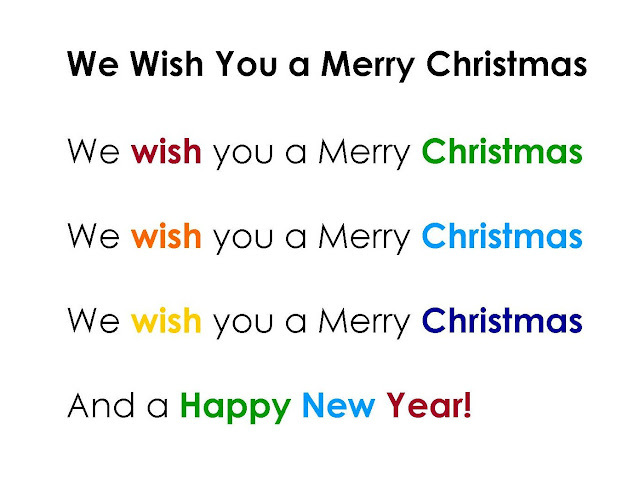 Here are the words to my version of the "3 Little Monkeys". 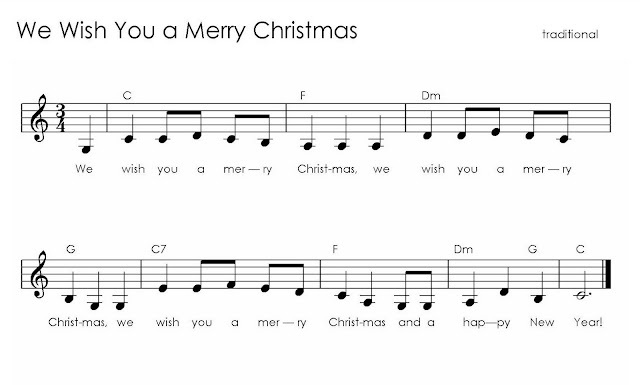 The music is available to download below the words! "No more monkeys jumpin' on the bed!" One fell out and skinned his knee. And he said "No more monkeys sittin' in a tree!" 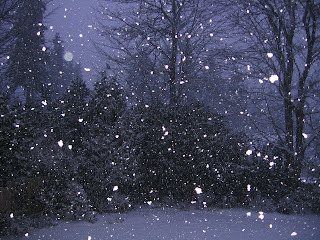 Got so cold he began to shiver! He said "No more monkeys swimmin' in the river"! Lying there in the hospital. So no more jumpin' on the bed! Listen and download "3 Little Monkeys" here! In my practice I have always begun my sessions with a hello song. This gets the attention of the individual I'm working with and provides structure - which is comforting to many of my kiddos. I'm sure this is true in preschool and kindergarten classes too - and it's a great way for children to transition into a "listening and learning mode"! 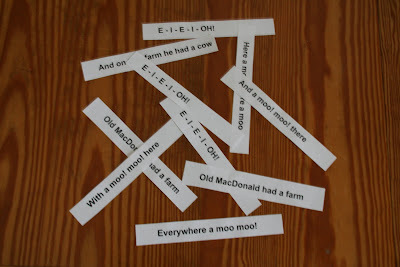 Hello and other songs can also be used at home to get the attention of active and/or noisy little ones. Instead of calling their name, try singing softly and see if suddenly their attention is focused on you! There are three songs I commonly use depending on who I am working with. The first is quite easy with very few words. After singing to my client, I then encourage them to sing it back to me. Many times I will sing with them, omitting the space for my name and encouraging the vocalization of my name. The second hello is wordier and is quite appropriate in the classoom setting. The third hello is a rap that I came up with for one of my pre-teen clients. His favorite type of music is rap and we play the bongo as we "rap" hello to help us stay on the beat. Hello Suzie, How are you today? This is the Way We Start the Day! It's time for music and I like to play! 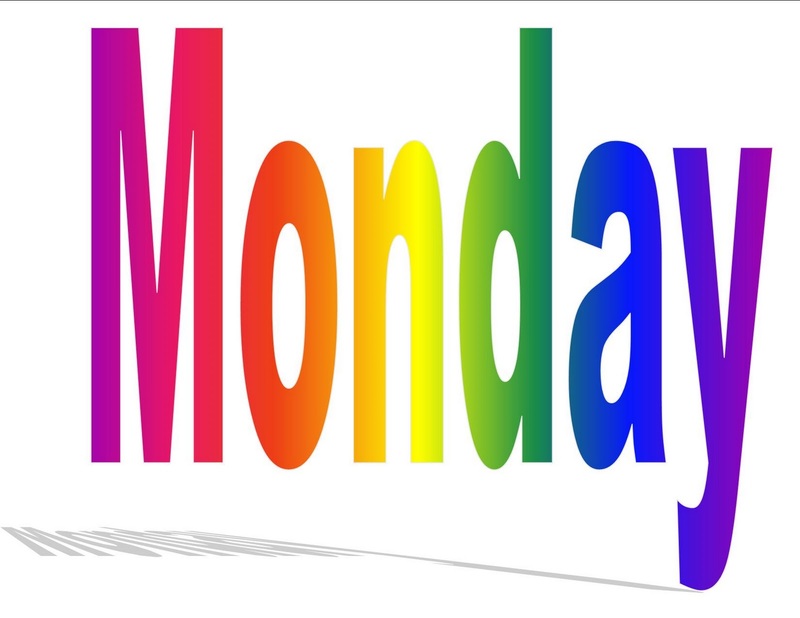 I'm feeling ________, how 'bout you? Want more easy Days of the Week songs? Here are two more! Now let's sing those days again! And here's my favorite - probably 'cause I grew up watching the Addams Family, taught to me by one of my clients who learned it in school!! Do you have other favorite Days of the Week songs? I always love sharing songs with familiar tunes because they're so easy to remember! 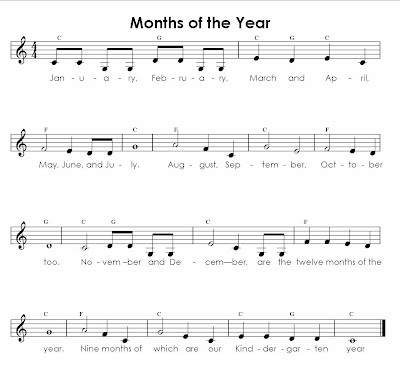 I've run across several songs to teach days of the week, but here's a very easy and catchy one to use. 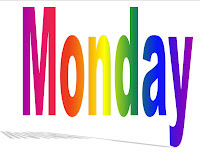 And today is Monday, Yes, today is Monday.